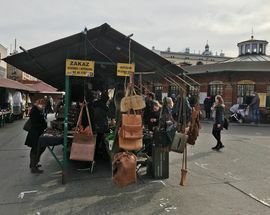 While Kraków’s main square, Rynek Główny, makes all the postcards and photographs, Plac Nowy has established itself as the spiritual centre of Cracovian subculture. 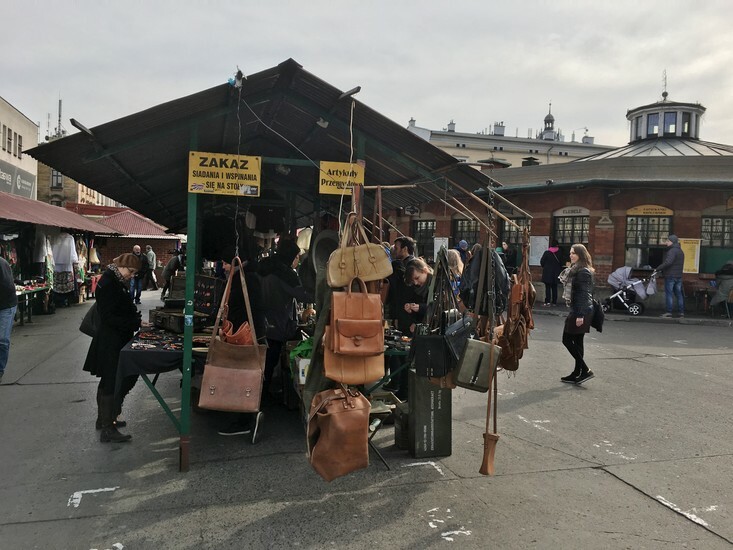 Lacking the splendour of the Old Town, Plac Nowy is actually something of an eyesore – a concrete square lined with cars and filled with food hatches, metal market stalls and rat-like pigeons. 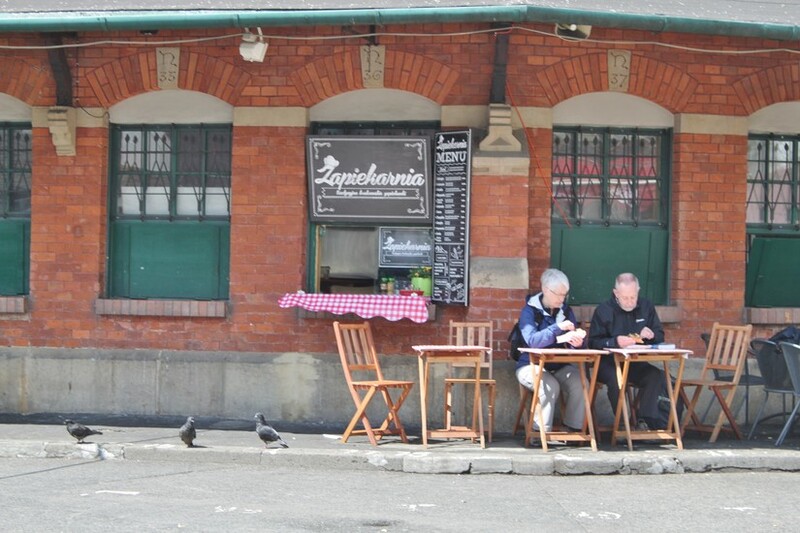 If you want something completely different from the Old Town, however, here it is. 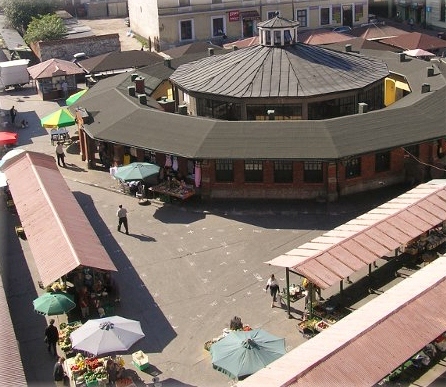 Incorporated into the Jewish quarter in the late 17th century, Plac Nowy (New Square) didn't really begin assuming its shape until the early 19th century, with its central landmark, the Okrąglak (rotunda), added as late as 1900. 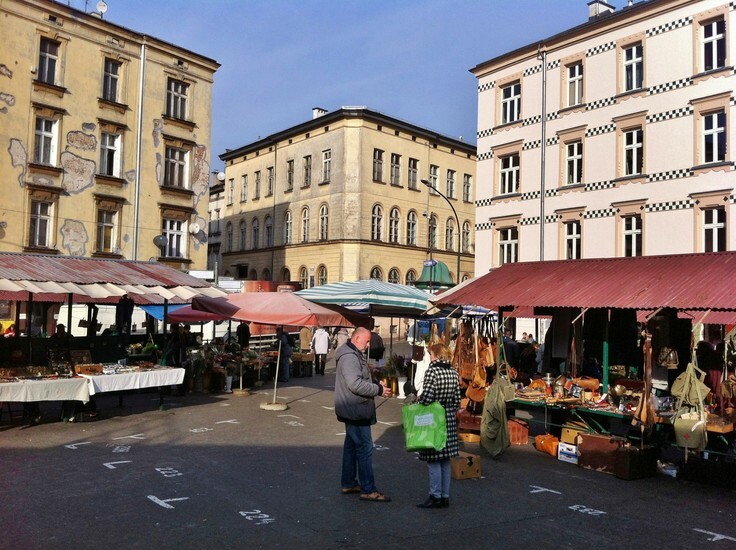 For generations this square was referred to by locals as Plac Żydowski (Jewish Square); not only was it the primary marketplace of the Jewish quarter, but the rotunda served as a ritual slaughterhouse for poultry right up until Nazi occupation. 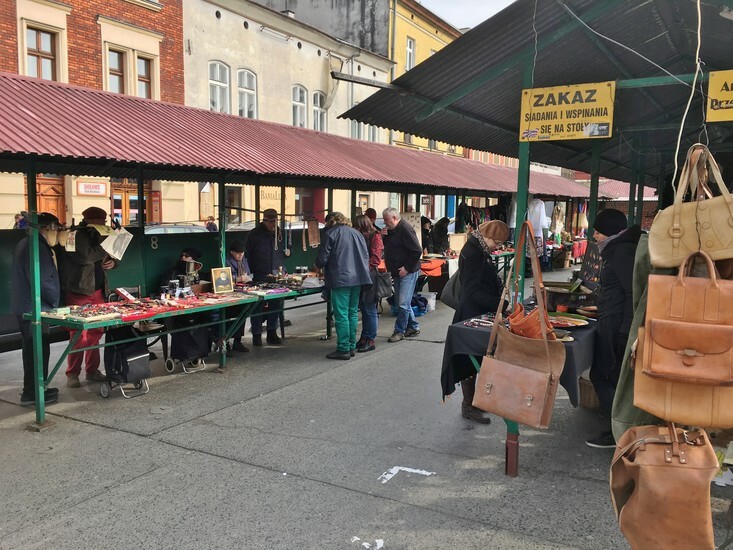 Today butcher shops still occupy the interior, but the real activity is outside where hungry locals line-up in front of the dozen or so hole-in-the-wall food hatches that operate around the rotunda, eager to taste arguably the best 'zapiekanki' in Poland. 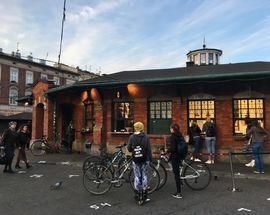 Essentially a French bread pizza with the toppings of your choice, you’ll find everyone from police blokes ignoring emergency calls on their walkie-talkies to stick-thin party girls getting their week's worth of calories waiting outside the rotunda for this this legendary Cracovian street food. 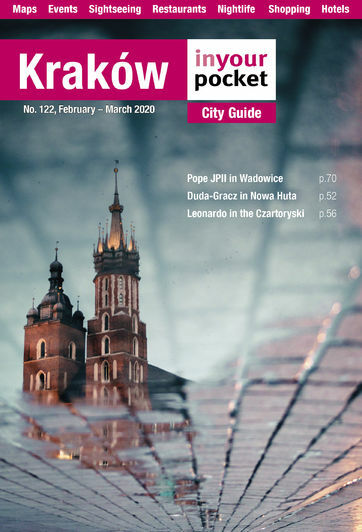 Visiting Kraków without eating a Plac Nowy zapiekanka would be like visiting Dublin without having a Guinness. 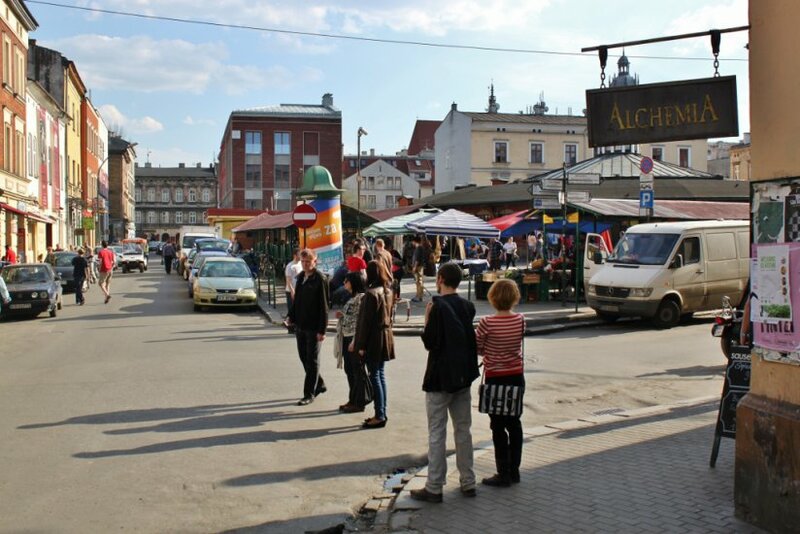 As trade dries up for the day the area takes on a new guise: Kraków’s premier pub crawl circuit. 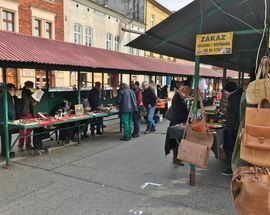 Full of shambolic charm, veteran boozers Singer and Alchemia put Plac Nowy on the map for punters, and remain two of the square's best bets for candlelit, pre-war mystique, while the similarly dark and arty Mleczarnia down the road (ul. 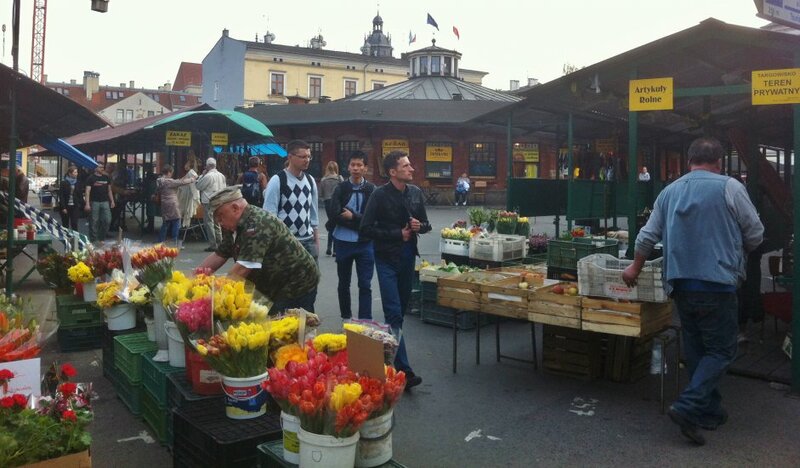 Meiselsa) boasts the city's best beer garden during the warm months. 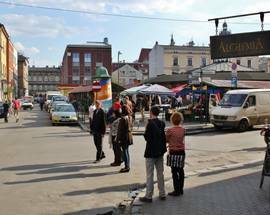 In recent years the area has begun to diversify with glammy pre-club places like Le Scandale, Baroque, and Taawa - the square's first dance-club, but the fact of the matter remains that this bohemian outpost is one of Kraków's most interesting and exciting nightlife destinations. 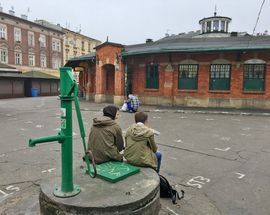 Sadly plans are now afoot to renovate this historic square with the controversial winning design already receiving a rubber-stamp. 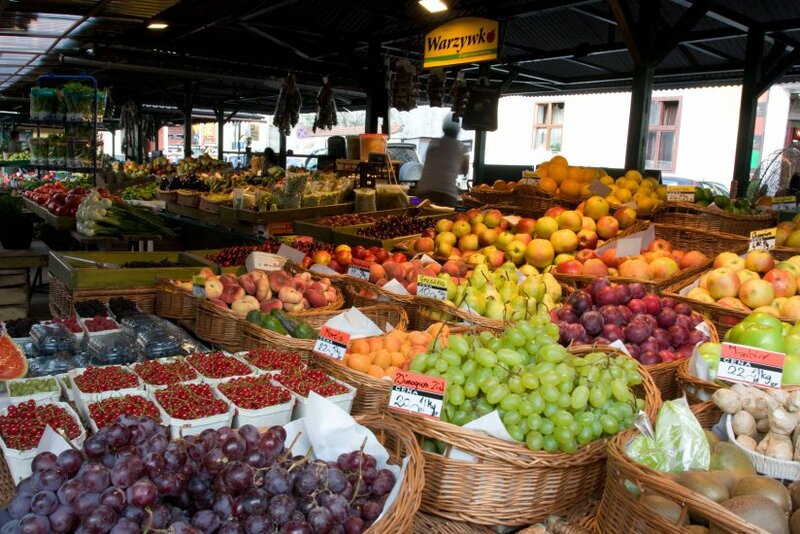 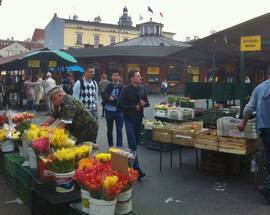 Shockingly, the numerous market stalls which have been a part of Plac Nowy since its beginnings would disappear, a permanent stage would be installed at one side and parking on the square would be prevented. 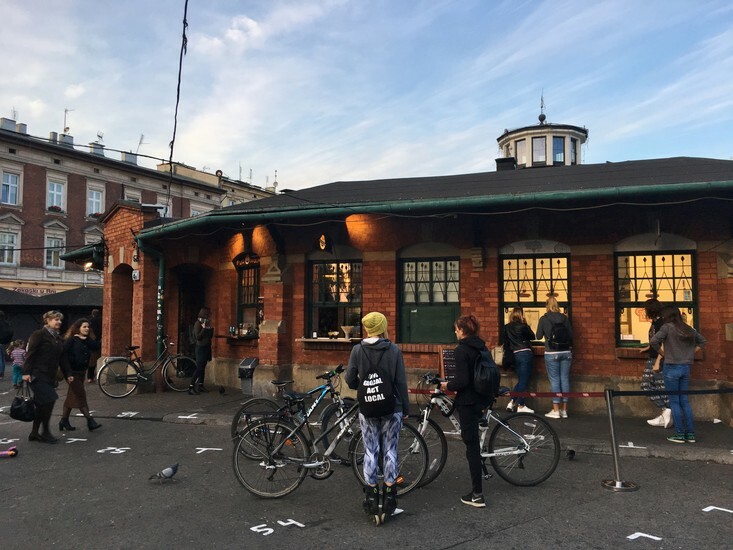 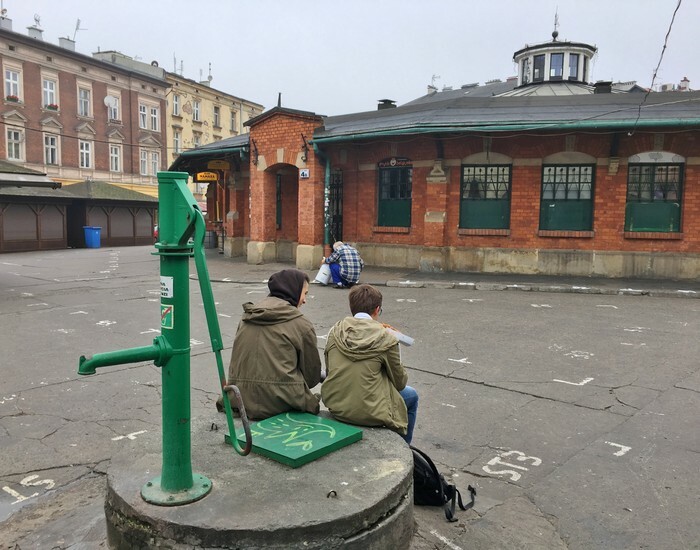 While the city has scored successes with similar revitalisation projects, there's nothing flaccid about the fizz of Plac Nowy and we're encouraged to hear that a lack of funds has delayed the start of the project indefinitely. 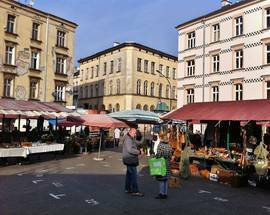 Still, soak up the bohemian atmosphere of the area now before it's all swanky cocktail bars and stupefying street performers. 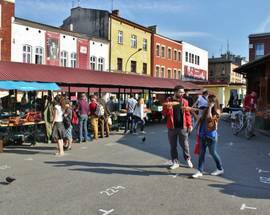 12/09/17 - A wonderful area for socialising and eating local cuisine after all the drinking! 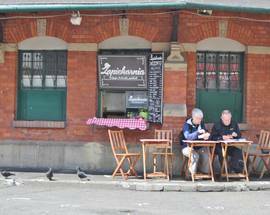 One of the more underrated places in Krakow. 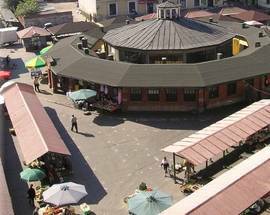 The wonderful architecture and strategic location. 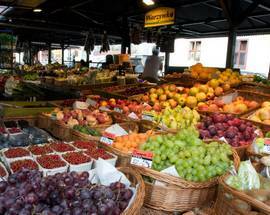 In addition, the mass of clubs and pubs for everyone. 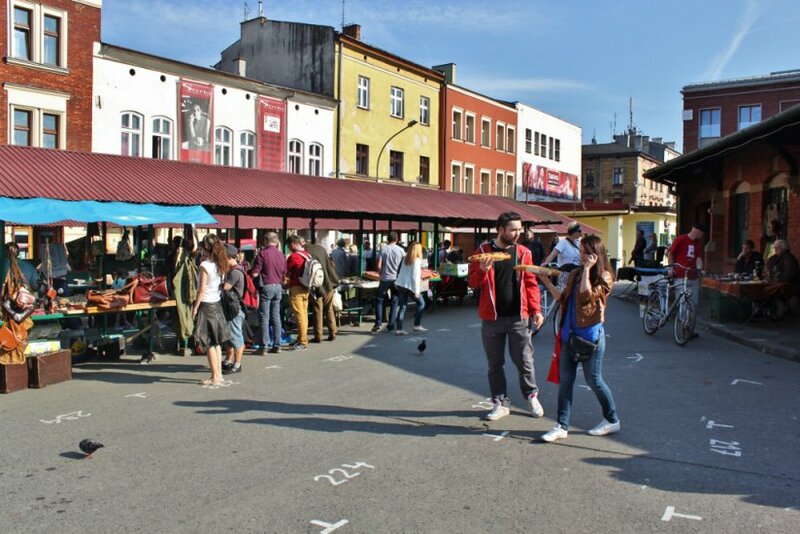 Having visited Plac Nowy on numerous occasions im horrified to learn of the proposed renovation of this unique area hears hoping the lack of funds continues for some time to come.